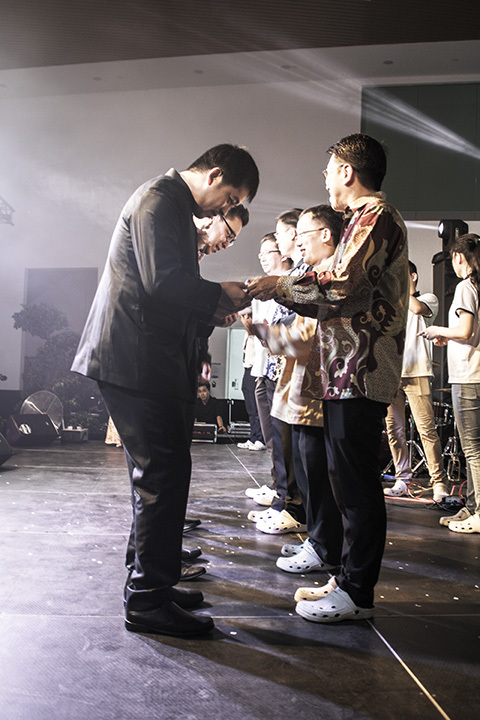 PENANG MALAYSIA - August 2018 - In conjunction with Hari Raya season and the big move to Campus 2.0, ViTrox had successfully hosted its Blessing Ceremony and Cultural Night on 8th August 2018 (Wednesday) at ViTrox Campus 2.0. 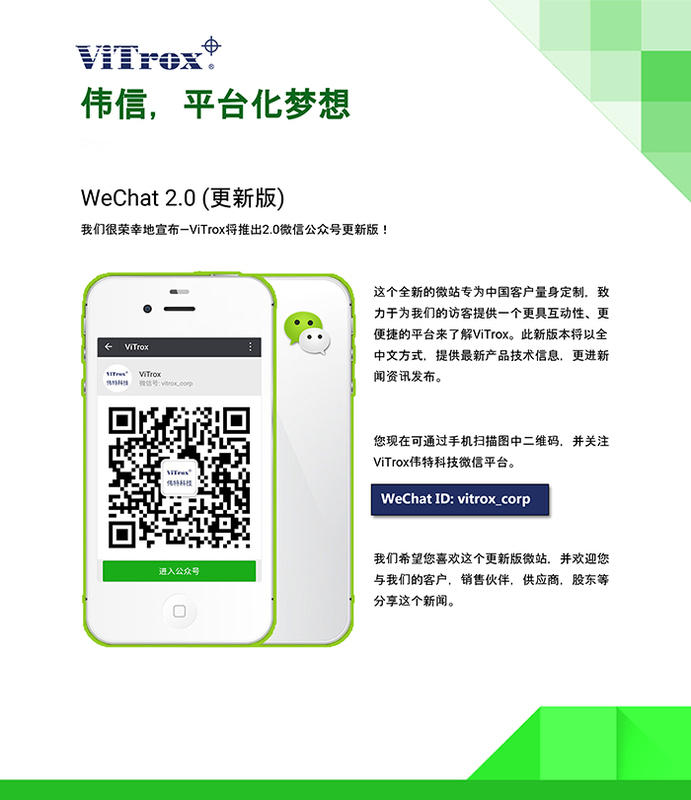 All ViTroxians, Oversea ViTroxians, VInterns, Subcontractors, and Consultant Team were hereby invited to witness this remarkable day. On the day itself, ViTroxians gathered around for the long-awaited Blessing Ceremony. 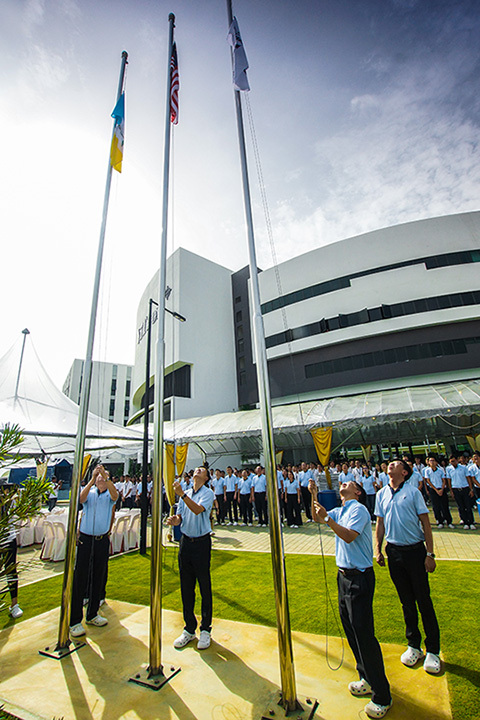 The event began with flag-raising ceremony where the founders accompanied by the Top Management team raised up flags of Malaysia, Penang, and ViTrox, while the crowd sang along the national anthem solemnly to express their dignification towards the country, state and company. 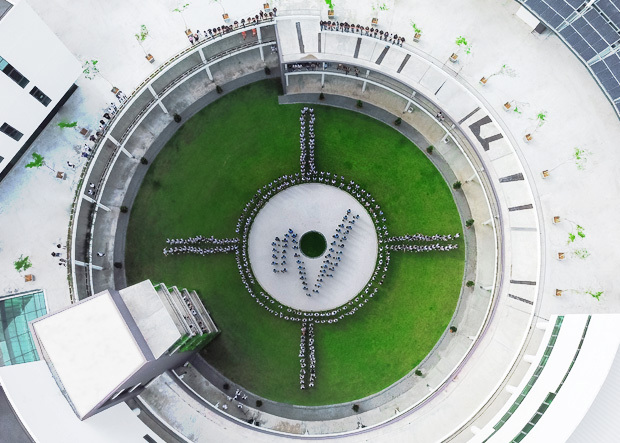 After the flag raising ceremony, ViTroxians assembled at IACTG Garden to lay out the V-Formation ceremony. Each ViTroxian carried a potted plant to symbolize green lifestyle and also the power of teamwork, which aligned with the IACTG (Integrity, Accountability, Courage, Trust and Respect, and Gratitude and Care) core value practices in ViTrox. Besides that, a Tri-Racial Drum performance was conducted on the first floor to represent the national unity in Malaysia. A heartwarming sense of love was felt in the air during the prayer session as everyone prayed in different religions for the new building and the world peace too. Love and Care For All, a song of love was played in the meantime to enhance the harmonious ambiance. “As the old Chinese idiom said: 谋事在人, 成事在天 (Planning is with humans but accomplishing is with the heaven), thus we gather here today to express our utmost gratitude to the heaven and to pray to God for His wisdom and compassion. With His providence and care, we are now writing our new chapters together at Campus 2.0”, said by Mr.Chu Jenn Weng, the President & CEO of ViTrox. In the evening, ViTrox celebrated its 18th Annual Dinner with the theme “Raya Under The Stars” at the new Campus 2.0. A grand stage and dinner tables were set for the event. ViTroxians started to gather around the registration counter at 7 pm with company t-shirt and traditional attires to mark their attendance. As they served vegetarian food throughout the night, a vegetarian food presentation was presented to inaugurate the dinner. Apart from attractive performances by ViTroxians, there were several appreciation programs included to express gratitude to ViTroxians. One of the highlights of this annual dinner is the “Long Year Service Awards” (LYSA) for 5 years, 10 years, and 15 years. All LYSA recipients received an honorable badge pin and a coat as a token of appreciation, presented by the Top Management. Other than the awards, a Corporate Social Responsibility (CSR) project was conducted by ViTrox to aid two institutions. 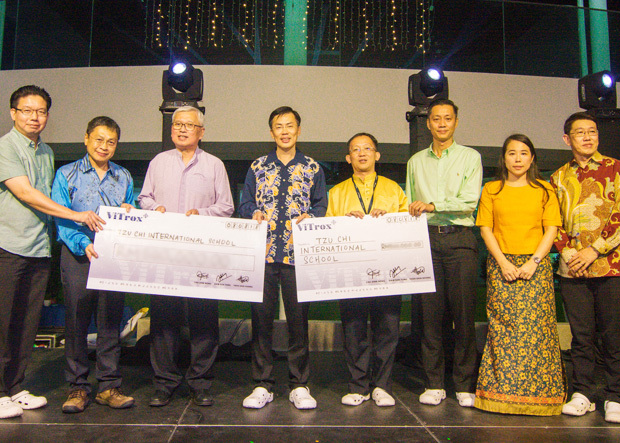 For instance, a mock cheque was given by Dato’ Seri Dr. Kiew Kwong Sen (Chairman of ViTrox) to Mr.Lim Kim Seng (representative from SRJK(C) Kwang Hwa, president of PIBG, and also the CFO of ViTrox). Moreover, on behalf of 3 ViTrox founders, a mock cheque was presented to Tzu Chi International School by Board of Director (BOD), Mark Chang Mun Kee too. As ViTrox focuses on moral values, the management believes such donations would bring advantageous contributions to the society. With the aim to deliver company’s sincere appreciation to ViTroxians, all reporting managers and V-Care management team were assigned to distribute Raya packets to Muslim ViTroxians, and V-Gift to every ViTroxians in the annual dinner too. “Looking forward, I hope Campus 2.0 will not only be a place for all ViTroxians to earn a living but also a place where we work as a unified team, one vision, one team and one voice, to accomplish much meaningful and impactful mission, making our world a better place through technology, humanity, and compassion. It’s also a place we live, work and have lots of fun together.” Mr.Chu Jenn Weng proclaimed during his speech.